Spain is the home of World soccer champions, incredible beaches and lunches that only begin at 2pm. It is an alluring land, and a paradise for family holidays. For family excursions, Spain has 42 UNESCO World Heritage Sites, ranging from magnificent ancient rock art to medieval old cities to the exuberant architecture of Gaudi. Portugal is a country of old fashioned charm boasting vibrant cities like Lisbon and Porto, magnificent medieval towns and villages including Evora, Obidos and Castelo de Vide, incredible castles sure to amaze travelers of any age, and some of the best beaches in the world. Add to that some of the best food in Europe and you have a destination that is simply fabulous! Imagine being guided through the maze of tapas dishes by a local food specialist, or taking the family on an amazing motorcycle sidecar trip through the streets of Barcelona. What about a scavenger hunt while exploring the great Prado Museum, learning to dance the flamenco and painting hand made Andalusian tiles? See how bulls are trained to fight in the arena, and go horse riding, canyoning and cycling through the national parks. Explore Roman ruins, Islamic monuments and magnificent palaces – and never forget the cuisine, one of the finest in Europe. Explore the Prado, one of the greatest museums in the world. Marvel at the incredible Alhambra, one of the world’s architectural miracles. 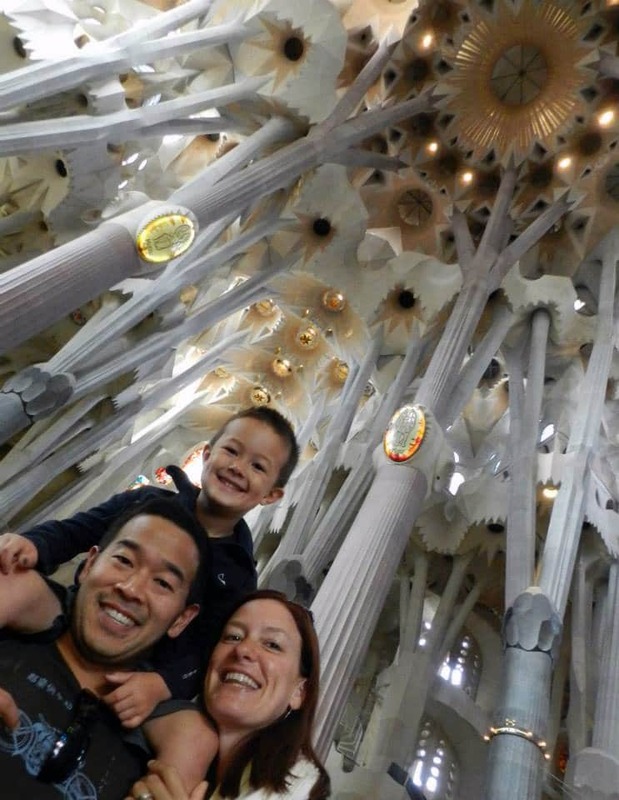 Lose yourselves in Gaudi’s bizarre, surreal architecture in Barcelona. Watch Real Madrid play soccer with 80,000 Madridistas in the Bernabeu Stadium, where the 1982 World Cup Final was played. Hike Toledo, Sevilla and Granada – the classical cities of Andalusia. Swim in natural pools, hike through river gorges, ride 4×4’s, go canoeing, cycling, horseback riding – it’s all possible in the Picos de Europa. Explore Portuguese Evora, a World Heritage city with the amazing Roman Temple of Diana! Spain is a country that offers incredible sightseeing – world-class cities, great museums, fabulous architecture, history, culture, beaches and more….